Stretch out on our comfortable lounge chairs and discover the breathtaking beauty of the gulf beaches. Enjoy a cigar under the shade of your Umbrella, sip a margarita or enjoy lunch delivered by our Beach Butlers. Prepare yourself for our sandcastle-building contest and then chill out with an afternoon Sorbet and Cold Towel service. We strive to provide everything you’d expect from a luxury hotel and more. Home of the flagship BURN by Rocky Patel and Cavo Lounge. Mercato offers a Whole Foods Market and Silverspot Cinema, an 11-screen premier-style theater, 12 notable restaurants, over 20 upscale retailers and luxury residential condominiums at Strada. 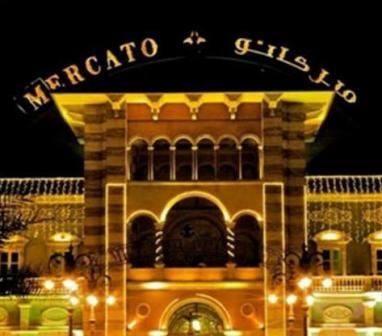 Mercato hosts a vibrant year-round event calendar with most events free and open to the public. The exquisite pools at LaPlaya are the perfect place for sunning, splashing, and sipping cocktails. A Tiki bar staffed with expert bartenders serves the finest premium beverages, masterfully crafted and poured. Poolside cabanas are available for relaxing alone or enjoying a good read. The fitness center at LaPlaya is first-rate, with any and all equipment fitness enthusiasts need for a great workout. Choose from fitness classes, private sessions with a personal trainer, or workout on your own on the free weights and cardio machines. Use of the fitness center is included in your stay. With global rituals and traditional outdoor Japanese Relaxation Tubs, SpaTerre promotes a combination of health (body), peace (soul) and relaxation (spirit), creating a tranquil and refreshing spa resort experience. Choose from the many day spa packages. Guests slip into a state of relaxation within the comfort of personal rooms with private balconies and in-room showers. Four poolside rooms in SpaTerre feature sliding glass doors that can be opened during spa massage experiences, allowing guests to enjoy the breezes of South Florida and sounds of the Gulf of Mexico while muscles are calmingly soothed. At LaPlaya Beach & Golf Resort, you can choose a spa package that is just right for you.